Free Chinese Christian Music Concert for all of San Luis Obispo County! 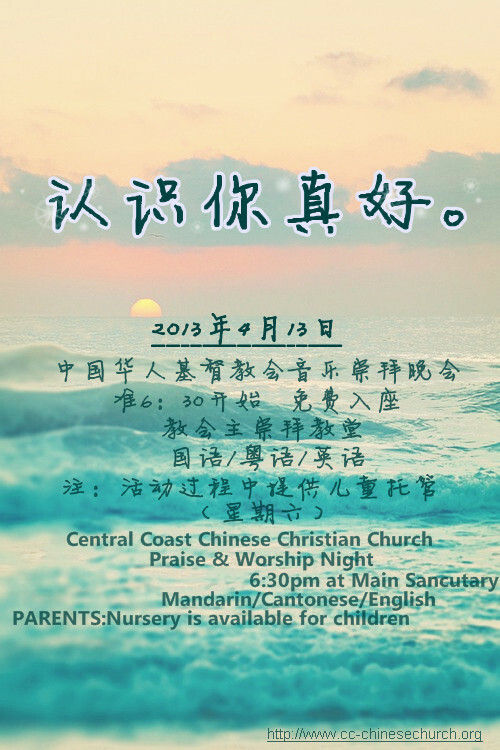 Date: April 13th, 2013 Location: Church of the Nazarene, Main Sanctuary Time: 7:00-8:30PM Chinese Christian Music Program 8:30-9:00PM Refreshment and Socializing PARENTS: Nursery is available for child caring! Weekend with Rev. Paul Lai, Ph.D.